In the past two years the government has allocated funds to enhance the teaching of Physical Education and promoting healthy, active lifestyles for all children. In 2013-2014 the school invested in new wallbars and apparatus in the hall which is accessed by all pupils during their indoor PE sessions. In 2014-2015 the school invested in new playground markings which all children access at playtimes making these times more enjoyable and active. 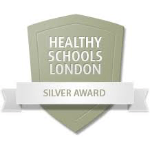 Purpose: The school has seen the benefits of wider access for all children to an active lifestyle through previous spending. Therefore, a sports qualified additional mid-day meals supervisor will be retained to encourage play at lunchtimes and develop key personal qualities through sport. Purpose: To build upon and consolidate the best practice established last year. Having witnesses the benefits of a more active lifestyle, the school intends to increase the provision to include a second Play Leader who will encourage play at lunchtimes and develop key personal qualities through sport. Impact: To be updated July 2017. As we are held to account over how additional funding is being spent, the Deputy Head teacher works alongside class teachers to identify strengths and weaknesses across the school and provide the opportunities for teachers to develop their skills and subject knowledge. All staff have access to planning from the PE HUB and have an overview of the activities they should be covering. Staff have also started to a teacher evaluation assessment system from the PE HUB (September 2016) to assess the key skills in PE which are in line with the National Curriculum 2014.